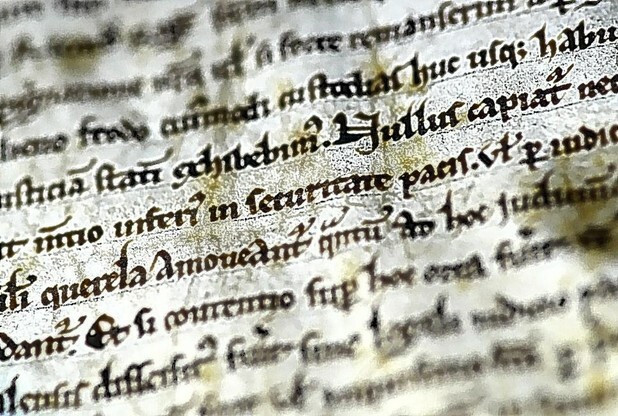 The four surviving original copies of Magna Carta will be brought together in 2015 for the first time in history, the British Library has announced. Salisbury Cathedral is expecting a huge influx of visitors from all around the world as the Magna Carta’s 800th anniversary is marked. Salisbury Cathedral will re-display and re-present its Magna Carta in the newly-conserved Chapter House, safeguarding the document for the future and using the latest interpretation techniques to communicate Magna Carta’s historic background and modern significance to the many extra visitors it expects to welcome in 2015. It has already conserved and repair the Cathedral’s medieval Cloisters where the Chapter House is located. Plans for further celebrations are underway, and are expected to include a lecture series chaired by the Dean of Salisbury featuring international speakers exploring topics inspired by Magna Carta. The Cathedral will also work with partners to present a Medieval Fair for all the family, a pageant involving hundreds of local people, a special concert, a Celebratory Eucharist and a week-long flower festival (15-20 September 2015), as well as other events. Alongside this activity, the Cathedral’s education department will work closely with schools throughout the year to deliver curriculum-focused programmes supporting citizenship and history. Salisbury Cathedral will work closely with partners to deliver its ambitious programme, these include: The British Library, Diocese of Salisbury, Lincoln Cathedral, Magna Carta 800th Committee / Magna Carta Trust, Wiltshire Council, Dorset County Council, Salisbury City Council, Visit Wiltshire, UNESCO, and AGEAS Salisbury International Arts Festival. Further details of Salisbury Cathedral’s Magna Carta 800th anniversary celebrations will be published on a regular basis as 2015 approaches. The Stonehenge Travel Company will be operating guided tours of Salisbury and Stonehenge throughout 2015. Book early to avoid disappointment. DID YOU KNOW: Hip hop artist Jay-Z – husband of Beyonce and the king of America’s music scene – named his new album Magna Carta Holy Grail and looked to Salisbury for inspiration for the album cover artwork, before finally launching his latest product in the Chapter House itself. Salisbury, Stonehenge and South Wiltshire is a truly unique destination. Set among some of the most beautiful countryside and with a 5,000 year old history the area is steeped in history but with its eye firmly fixed on the future. Salisbury is one of England’s most wonderful cities – a medieval masterpiece with something for everyone. From traditional English pubs to cosmopolitan street cafes and from hard-to-find specialist shops to major high street stores, you’ll find it in Salisbury. And at its heart there is the magnificent Salisbury Cathedral, towering over the city as it has for over 750 years. Wessex Gallery grand opening (12th July). Bringing the history of Stonehenge and Wessex to life. July 5, 2014 6:20 am / 1 Comment on Wessex Gallery grand opening (12th July). Bringing the history of Stonehenge and Wessex to life. ANTHROPOLOGIST and BBC TV Coast and Origins of Us presenter Dr Alice Robertswill open Salisbury Museum’s new £2.4m Wessex Gallery on Saturday (Salisbury Journal). The new gallery will house one of Europe’s most extensive collections of Stonehenge and prehistoric artefacts including the Amesbury Archer – popularly dubbed the King of Stonehenge and the Wardour Hoard. To mark the event the museum will be hosting an admission-free day of action-packed celebrations, special events, living history displays and demonstrations of traditional skills and crafts. There will also be other celebrity guests including Channel 4 Time Team presenter and field archaeologist Phil Harding, who will be demonstrating flint knapping – the ancient art of shaping tools and weapons from stones – which early the Britons used. Along with a free view of the new Wessex Gallery, members of the public will have the opportunity to see Norman falconry displays, try on Norman dresses, or get suited and booted in a knight’s hefty chainmail armour complete with sword. There will also be ancient coppicing, stone masonry, pottery-making and wool dyeing demonstrations as well as a chance for people to try their hand at reconstructing a prehistoric face, carve a Stone Age chalk animal and experience an Anglo Saxon burial ritual. Museum director Adrian Green said: “The grand opening of our new Wessex Gallery is going to be a fantastic all-day event with lots of exciting activities to see and do for all age groups. 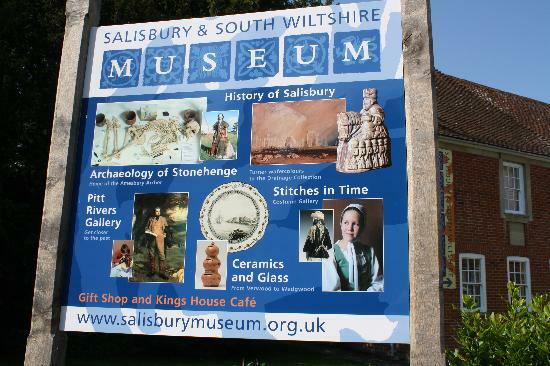 The Wessex Gallery Grand Opening is on Saturday, 12 July from 10am to 4pm at Salisbury Museum, The Close. For more information call 01722 332151 or visit: www.salisburymuseum.org.uk.